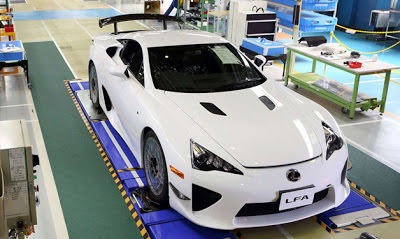 As of the 14th December 2012, the final LFA armed with the Nürburgring package has rolled out from the production line. This marked the end of the historical hand built 500 production units that began exactly 2 years ago in 2010. The Lexus LFA houses a 4.8L V10 power plant that revs to redline in a mere 0.6 seconds, making it impossible for conventional analog speedometer instrumentation to keep up. The LFA Nürburgring edition conquered the famed Nürburgring racetrack in a record setting 7:14.64 secs in Aug 2011. 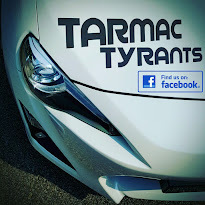 Lives may have ended for many die hard LFA fans who missed the boat for the 500th LFA but the good news is that Toyota will be moving forward with their Carbon Fibre Reinforced Plastic (CFRP) experience in the years ahead. In my personal opinion, this new technology of carbon fibre stitching developed through R&D for the LFA would eventually find itself in the bloodline of many Lexus variants in time to come. Like the sophisticated VDIM system, you could probably expect some LFA CFRP in the future Lexus F range. Perhaps, after a superseded version of the LFA is produced, much of its technology would be incorporated in the next ISF or GSF? God knows but I hope I am right. Sounds more affordable? I certainly hope so. Nevertheless, the LFA is still my all time favourite as one could only dream of owning such a high revving, orchestral sounding V10. Knowing Lexus, I believe the best is yet to come for the LFA marks the beginning of Toyota's supercar engineering marvel.